None can deny the importance of having satisfied customers as they are the most important aspect of today’s business setup. The tough competition has also prompted organizations to take customer support services seriously and deliver proper customer experience to them. Organizations tend to hire a call center outsourcing vendor who could take care of their customer care services and deliver an enhanced customer experience to them. Hire The Right People And Train Them Well: Everyone is best suited for a particular type of job and it is your responsibility to find and recruit right people for the job. Further, you need to train them properly for the work that they are best suited for. Develop good hiring strategies that can be effective for your particular requirements. Keep The Staff Happy And They Will Keep Customers Happy: It has been observed that vendors who keep their internal staff happy and satisfied are able to deliver much better services than those who are not. Keep them happy so that they respect the company for which they work. This will make them put in their best effort while taking calls from customers. Pay Attention To What Customers & Your Staff Say About You: Getting feedback and acting upon it could be one of the best things for you. 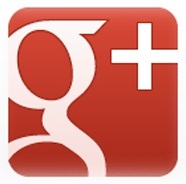 Your customers as well as your staff can give all the information and feedback that you need to know. Listen to what they have to say and act upon it in the right manner. Communicate: Lack of communication could be one of the biggest problems for you. Communication between top management and the front line agents is rarely possible in companies offering BPO services and KPO services. It is the responsibility of the top management to ensure that the front line staff is able to communicate with them on a regular basis. This will be seen as a nice gesture by the staff and would provide valuable information and feedback to the management. As a call center outsourcing vendor, you need to understand that providing enhanced customer experience to callers is your prime responsibility. You need to do whatever it takes for making this happen. 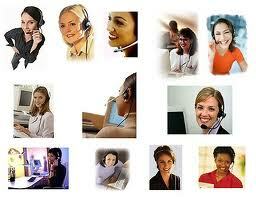 Mould your call center services in such a way that callers experience completely satisfying services from your end. How to Reduce the Noise in a Call Center? One of the major problems faced by agents working in a call center outsourcing company is the background noise. Management needs to take care of this problem as it creates a very unproductive working environment for employees. They are constantly distracted by it and are not able to focus on the task at hand. Further, this noise is also heard by the callers at the other end and makes it difficult for both agents and customers to communicate effectively over telephone. Mentioned below are some of the tested and well proven strategies for reducing the effect of this noise. Increase The Space Of Agents: This is probably one of the most effective but expensive strategy of reducing the effect of sound on the quality of your call center services. An ideal setup would require you to provide more than 120 square foot of space to each agent. This will provide proper space to each agent and will help them in focusing on their jobs. Install White Noise Generators: This technique uses sound to kill noise. The white noise generators produce a predefined level of background noise which overshadows the more distractive & obstructive sounds that make it difficult for agents to hear what is being said from the other end. 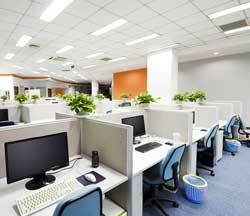 Cubicles: Another great way of reducing the sound levels is by providing cubicles to call agents. These cubicles can be walled with voice dampening materials to make them more sound proof. However, this might require complete redesigning and furnishing of the center therefore it would be better if cubicles are installed during the development of offshore call center. Reduce The Number Of Machines That Create Noise: Machines such as fax machine, servers, photocopiers etc should be placed in a separate room. If such devices are placed on the floors where agents work then they are bound to get distracted by them. The coffee and vending machines should also be placed outside as they also produce sound when being used. Further, coffee machines are the most favorite spots for office gossip. This will also distract other agents. Never Hold Meeting On the Floor: Unless and until you have to inform your whole staff about something, avoid having meeting on the floor. Small gathering and private meetings on the floor are sure shot distraction points. Even if other agents are not able to hear what you are talking about, still they will be distracted by you and won’t be able to focus until the meeting is over. Offshore call centers need to take special care of noise levels in their delivery centers as their productivity and efficiency will directly reflect in the performance of their clients. Poor performance is liable to invite undesired actions from such clients.